Medical equipment requires high precision and quality to meet the demands of the field. That’s why the choice of a metal fabrication partner is so critical. However, choosing a metalworking partner becomes even more challenging in today’s business climate because, while there can be no sacrifice of quality, cost and speed to market must be considered as well. Months-long lead times and multiple vendors are no longer viable in today’s medical equipment marketplace. Finding a full-service precision metal supplier can be a competitive advantage for medical equipment companies. 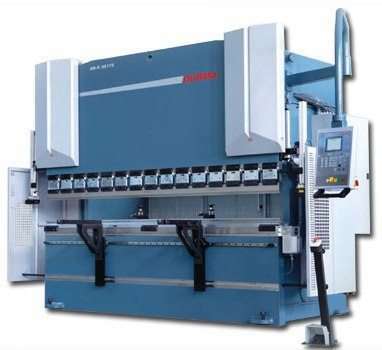 With so much riding on the equipment, choosing the right metalworking partner is key. Do you have design and engineering experience? In this stage, getting everything right—before manufacturing begins—is key to saving time and money while producing the best possible product. Do you have the state-of-the art equipment required for such tight tolerances and do you know how to use it in the best way possible? Almost all fabrication shops these days have lasers. They are not unique. The question you should be asking your metalworking sourcer is how they are applying all of this equipment together for the best possible results. For example, how are they integrating their lasers with robotic welders and presses? Ensure that they understand all of the equipment in their shop and how it works best together to ensure speed, accuracy and cost-effectiveness. How much of this project can you help me with? Having to manage multiple metalworking sources is not only frustrating, it can affect the project delivery dates and create costly miscommunications and mistakes. Streamlining your supply chain can be a competitive advantage. “Full-service metal fabrication under one roof can not only cut cost, design and manufacturing lead time, while improving quality but also satisfy rush orders and JIT requirements” according to Medical Design Technology Magazine. Look for a shop that can handle the traditional fabrication as well as cutting, drilling, grinding, and polishing, finishing, forming, coating, welding and assembly. It is also critical to look for a partner that can work with various metals and understand what each one will do for the project. Accuracy and precision are not “nice to have’s” when manufacturing medical equipment. It is critical to find out how confident your source is in ensuring compliance to strict as-built records and traceability requirements and if they are ISO certified. Are you here to partner with us for the long-haul? Finding a metalworking partner that is truly a partner can be a competitive advantage for medical equipment companies. Speed, accuracy, cost-effectiveness, getting it right the first time, handling emergencies when they arise, ramping up production quickly and providing superior customer service are all part of the big picture that medical equipment organizations need to consider. Germantown Tool and Manufacturing is a leading metal fabrication and metal engineering supplier in the Mid-Atlantic region. Learn more about our commitment to the medical industry and contact us for more information.